Bringing outdoor learning to life…..
Forest School is a nationally recognised innovative approach to education, at Hollies we have been running our Forest School since 2011. We have 2 trained leaders, one at each nursery. 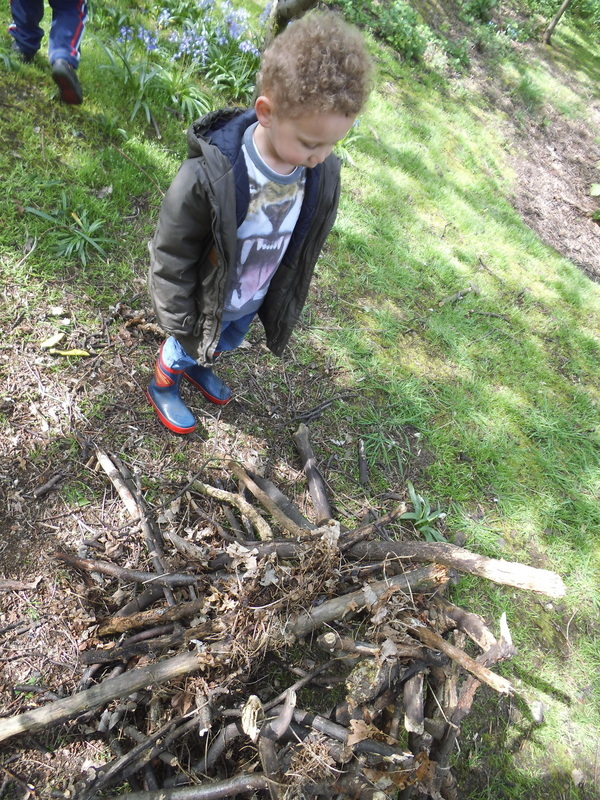 We use Bestwood Country Park for our sessions with both our nurseries and take full advantage of running Forest School sessions in this area. 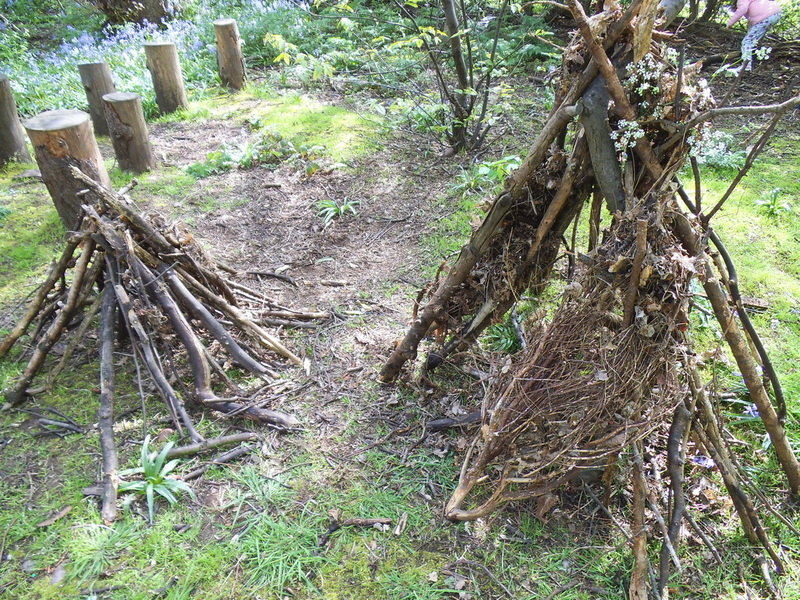 Forest School is a learning ethos that has grown and developed over recent years. It embraces the outdoors as an inspirational learning environment focused on the child’s learning needs rather than specific outcomes. The children explore and experience the natural world on a regular, sustained basis and this is a unique way of building confidence and self-esteem, learning new life skills and promoting independence to hands-on learning experiences. A study carried out over a 13 month period found that children who had the opportunity to attend Forest School sessions in a pleasant, fun, natural and relaxing environment, were starting school with stronger social skills, a high capacity to work in groups and seemed to have high self-esteem and confidence in their own abilities. These attributes have proved, over time, to be an effective foundation to raise academic achievements. The sessions are child-led by the areas of interest that are generated by the children themselves. 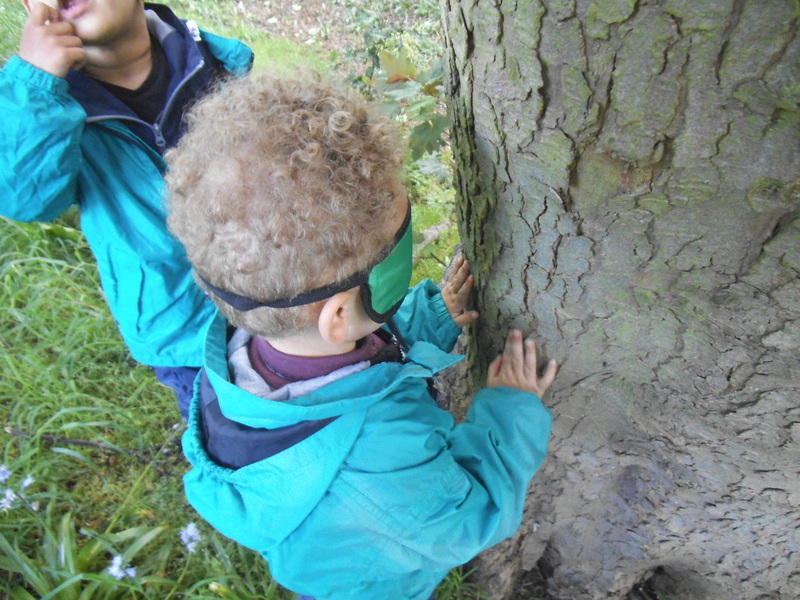 This is achieved through observations and reviewing, which helps the Forest School Leader to prepare for the following sessions. The Forest School initiative excels in supporting the individual. The ethos acknowledges individual learning processes and supports children at their own pace and responds to their individual requirements and areas of interest. It encourages children to push their limits both physically and emotionally, by providing a safe but challenging and stimulating environment, full of sensory diversity. The children are actively involved with how the sessions develop, which makes experiences relevant to them and has a direct effect on their motivation. This causes the learning experience to be more emotionally involved and therefore more deeply rooted. For more information please visit www.holliesdaynurseries.co.uk or call 0115 960 6388. Getting up close and personal with a tree!